Cancel your plans and set your GPS for Righetti on Saturday, Feb. 9 as San Luis Obispo’s highly anticipated new master planned community celebrates its public Grand Opening from 11am–2pm with model home tours, catered food, a DJ from Coast 104.5 FM, games, and giveaways. 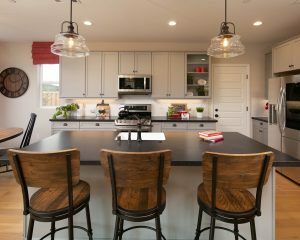 In addition to the Grand Opening festivities, all six of Righetti’s fully-decorated models in this community of new San Luis Obispo homes will be open to tour from 10am to 5pm. 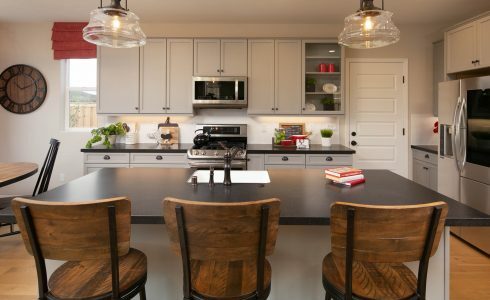 Gorgeous chef’s kitchens are just one of the coveted features of these San Luis Obispo homes. The newest master planned community from top California builder Williams Homes, Righetti features two stunning collections of single-family, new San Luis Obispo homes boasting classic California architecture and modern floorplans in a coveted, coastal-close setting. Interest has been exceptionally high since word first got out about Righetti, so prospective buyers are encouraged to visit during the Grand Opening to secure their home of choice. The Righetti master plan was named for the Righetti family, who were staples of the local farming community. The Righetti’s became a well-known family in the local area as some of the area’s first residents. The master plan was designed as a reflection of the family’s devotion to their ranch, with a spectacular new-home landscape as rich as the land itself and a once-in-a-lifetime opportunity to live amongst such charmed environs. Natural beauty meets accessibility at Righetti, giving owners an incomparable blend of tranquility and convenience to everything that makes SLO, voted one of Livability’s Top 100 Best Places to Live, so special. Right within the Righetti community, hiking trails and parks create an enticing recreational backdrop. Travel just a few minutes outside of the community to the vibrant shops, eateries, events, and activities of downtown, and the city’s array of cultural opportunities including the historic Mission San Luis Obispo de Tolosa and the San Luis Obispo Children’s Museum. Living in San Luis Obispo also means being able to spend the day on the sand at one of the area’s famed beaches or sipping wine at one one of the area’s acclaimed wineries. Righetti offers new communities of detached, single-family, new San Luis Obispo homes that bring new flair to SLO living, allowing buyers to capture the dream of owning a brand-new place in this pristine setting. At The Arroyos, buyers will enjoy custom-quality, single-level and two-story residences with three to four bedrooms and two and one-half to three-baths in 1,684 to 2,534 square feet. Enjoy the breathtaking views of San Luis Obispo while relaxing on your welcoming front porch. Satisfy your inner gourmet in the island kitchen, which features LG stainless steel appliances and Quartz countertops. The kitchen is wide open to the generous living areas, making it ideal for everyday living and for entertaining, and tankless water heaters and Tesla Solar Systems (structured as a lease with purchase option) provide energy-efficiency to lower your footprint—and your monthly expenses. The Arroyos are priced from $771,895. The Paseos presents stylish single-story and two-story new San Luis Obispo homes with three to four bedrooms and two and one-half to three-baths in 1,624 to 2,125 square feet of beautifully realized living space. Everything today’s buyers are seeking is right here, with airy designs, high-end features and finishes, and a focus on indoor-outdoor living. You’ll love the open floorplans, with chef’s kitchens that flow right into the homes’ great rooms and dining areas and include GE stainless steel appliance packages, white thermofoil cabinets with designer hardware, and Quartz countertops. Additional desirable features include lofts and downstairs bedrooms, per plan. Prices for The Paseos start from $771,965. For more information, visit Williams Homes. This renowned California builder was founded in 1997 on the principles of integrity, trust, and partnership and has continued to thrive as one of the state’s fastest-growing homebuilders. Williams Homes was the proud recipient of the 2013 Builder of the Year Award by the Building Industry Association.